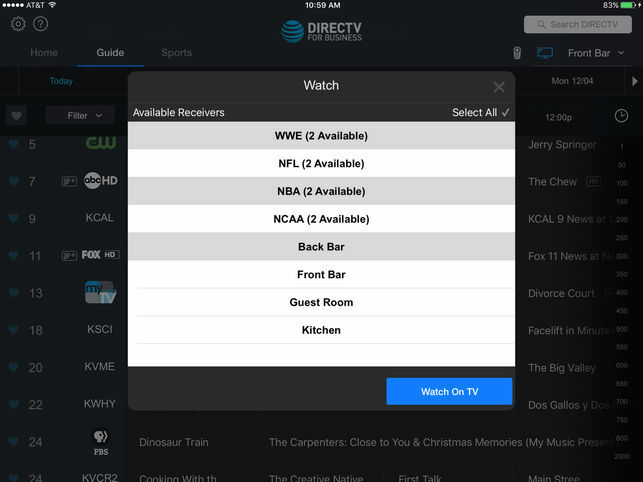 I’ve been reporting on the DIRECTV app’s business features since they were first shown in 2012. Back then, I traveled to the HITEC show and saw a very early prototype of the app’s business features. It’s only gotten better from there. 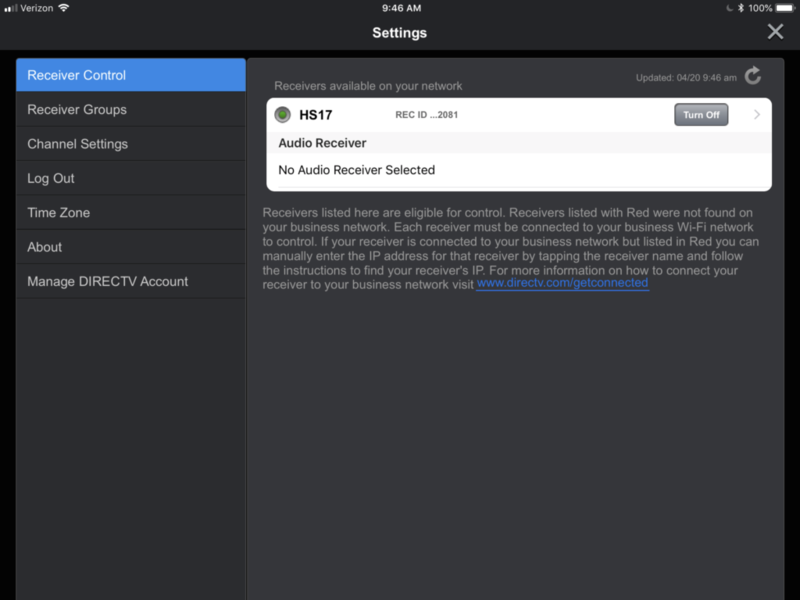 DIRECTV’s app for business is all grown up and separate from the main iPad app. I’m not sure why this change was made but if I had to guess it has to do with the size of the app. When apps get really big, updating them becomes a problem. Moving functionality to a new app means that the main tablet app can stay leaner. It’s a mandatory upgrade, but a free one. 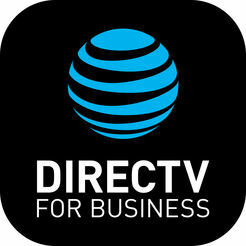 The DIRECTV App for Business is free, but you will need to download it. The commercial features are expected to be completely removed from the regular app in its next update. If you’re not familiar with the tablet app, read our review from 2015. The setup and operation is the same as it was then. Most of your settings will move over automatically. If you have receivers with static IP addresses you will have to set them manually and if the names you’ve given the receivers in the app don’t match the names of the receivers on the account you’ll need to set those as well. If you don’t have a map of which receivers have which IP addresses, this is a great time to get one. 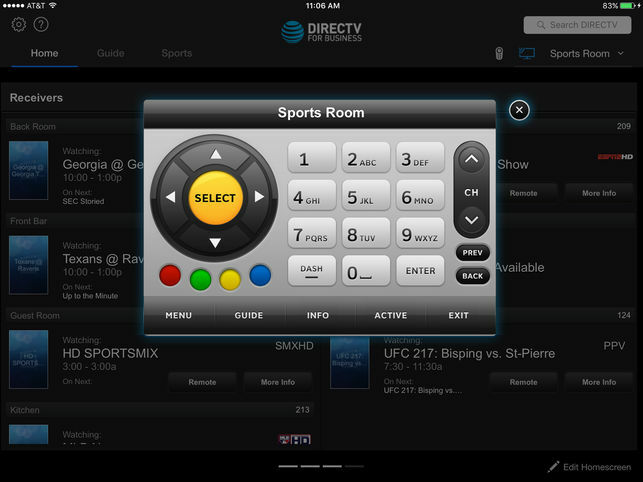 Just press and hold INFO using a standard DIRECTV remote in front of the receiver and you will get a lot of information including the receiver’s IP address. If it starts with 169.254, that’s what’s called a “link local” address and it means the receiver probably isn’t networked properly. 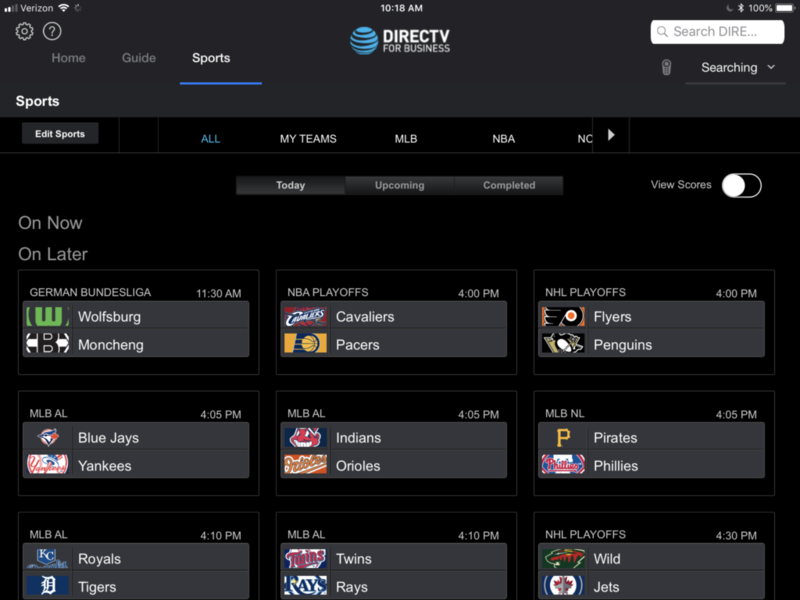 The commercial features in the regular DIRECTV app were open to everyone, and this app is open to everyone as well. I personally confirmed that the app works with a regular residential account login. I don’t know if this screenshot tells you a lot but it does show the app connected to a Genie 2, which would be impossible on a commercial account. So, it has to be a residential account. As with the commercial features on the regular app, it’s impossible to set recordings using this app at all. However the other great features did come along for the ride. The remote still works just as it always has. You can change the channel on any receiver just by selecting it. There is still a live guide that lets you tune to a channel immediately, set favorites and tune directly. 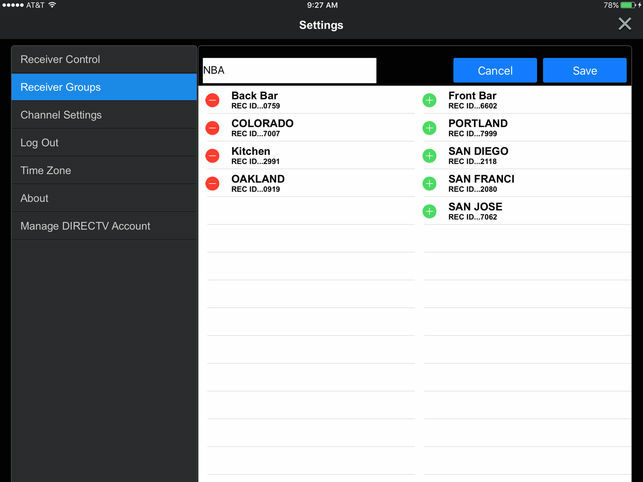 You can still look at all the great sports out there, and toggle whether or not to show scores. The biggest change is receiver grouping. This is a feature that was promised back in 2012 and was never delivered. It was a key feature of much more expensive IP control apps and now it’s totally free. Receiver grouping lets you assign multiple TVs to the same group so you can change the channel to all of them at the same time. You can still change channels individually if you want. A receiver can be in more than one group, so you could have a group with “all TVs” when you want to show something really important plus a group for the bar TVs by themselves. You can create a group and give it a custom name, then assign multiple receivers to it. Although this screen capture makes you think you can control multiple locations, all the receivers must be on the same network. You can’t control receivers remotely if you’re away from the bar, unless you have a VPN in place. Here’s a screen capture of receiver grouping in action. After selecting a program in the guide, tap on the receiver or group to apply it to. The names at the top that say “2 Available” are groups with two receivers. As you can see it’s also possible to change individual receivers. This is probably the best news for bar owners. Commercial features have been iPad-only since launch, and that means you are going to have some very expensive tablets out there. If you want half a dozen of them so they can go where they need to go, you’re talking serious money even if you buy used ones. 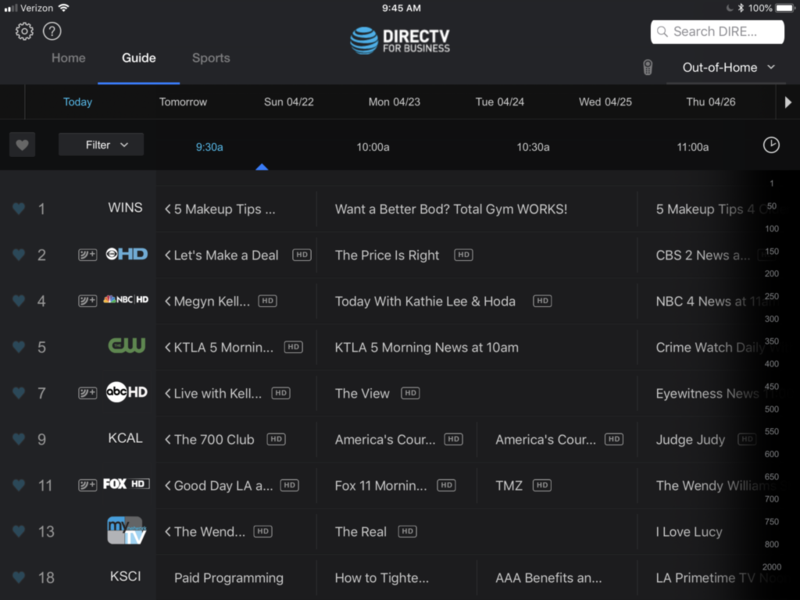 I have been assured by AT&T’s product gurus that the DIRECTV for Business app, now available at the Play Store, will work with most 10″ tablets and even some 7″ ones. There are specifically supported ones listed, but the app “should” work with reasonably new tablets that aren’t on that list. You can get Android tablets for under $175 brand new and they will outperform the typical $200 iPad which is usually 3-4 years old. As I said, I expect the commercial features to be taken out of the next version of the iPad app meaning you really want to get this set up and configured now. It’s totally free and works with your existing directv.com login. Just load it on a tablet on the same network as your receivers and get moving! Should you use an HDMI-equipped modulator? How is it legal to encrypt satellite television?